Sir George Grey was a dominant figure in 19th-century New Zealand politics, serving two terms as governor before becoming premier on 15 October 1877. He was the first person to hold both positions – an achievement that has been matched only by Keith Holyoake, who was prime minister for 11 years and later became governor-general. Historian Keith Sinclair described Grey as one of the most remarkable 19th-century British colonial governors and one of the most remarkable people to have lived in New Zealand. During his first term as governor (1845–53), Pākehā critics viewed him as a despot unwilling to share power with settlers. He opposed an 1846 proposal for an elected assembly on the grounds that the minority settler population could not be trusted to pass measures that would protect the interests of Māori. This, he feared, would lead to conflict. In 1852 Grey was the chief author of a new constitution which established provincial and central representative assemblies. He was criticised for arranging provincial elections before those for the General Assembly, giving the provincial councils a five-month headstart on central government. Some believed this entrenched provincialism in New Zealand politics. 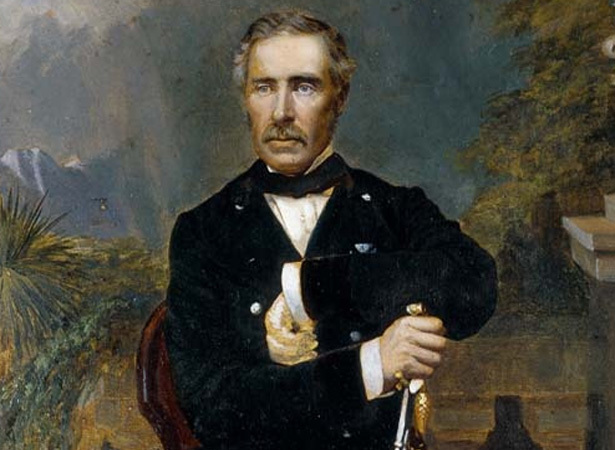 During his second term as governor (1861–68), Grey clashed increasingly with the settler government over the conduct of the New Zealand Wars. After retiring to his property on Kawau Island in the Hauraki Gulf, he led the fight against Julius Vogel’s proposal to abolish the provincial system that he had helped establish. In 1875 Grey was elected as both superintendent of Auckland province and Member of the House of Representatives (MHR) for Auckland City West. Despite his best efforts, Grey was unable to save the provinces. When the ministry led by Harry Atkinson lost a confidence vote on 13 October 1877, Grey formed a new ministry that combined conservatives and radicals. Lacking a safe majority, Grey asked the governor, Lord Normanby, to dissolve Parliament and call fresh elections. Normanby’s refusal to do so ensured there would be no last-minute reprieve for the provinces. Grey now championed a number of so-called radical causes, such as ‘one man, one vote’. While this stirred up considerable enthusiasm, an economic downturn in 1878 focused attention on pocketbook issues. In 1879 the government lost a division in the House and failed to win a majority in the subsequent election. After the defection of four Auckland members, Grey resigned as premier in October. He remained an MHR until 1895, then returned to London, where he died in 1898 at the age of 86. We have 15 biographies, 5 articles, related to Former Governor Grey becomes Premier.